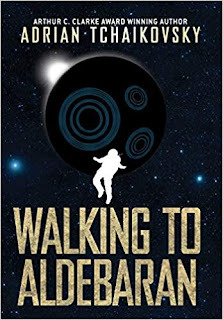 As much as I crave the adrenaline rush of advance reviews, the thrill of being first to read a new fantasy saga, there is something to be said for being able to binge through an author's world. Sometimes there are books that just slip my initial notice. Other times there are just too many books hitting the shelves at once, and not enough time to read them all. Then there are those sagas that are so widely spaced, you just lose track of them. 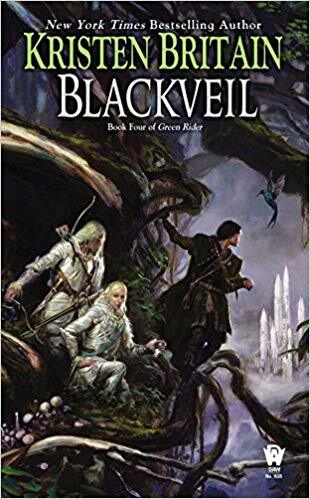 Such is the case with the Green Rider saga, and I'm genuinely glad it fell off my radar after that first book, Green Rider. I've been catching up with Kristen Britain's world since September. I'm enjoying the experience so much that, as quickly as I've been consuming the books, I'm actually dreading the moment when I finally get caught up. 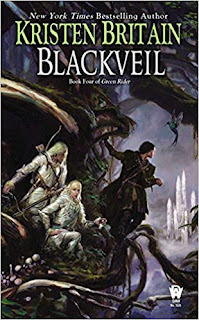 Blackveil is the fourth book of the saga, a meaty 700-page paperback that feels as comfortable in the hand as the story does in the head. 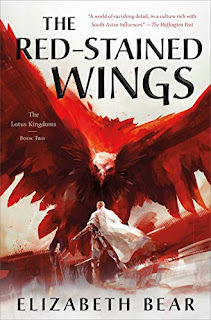 At this point, I've become accustomed to the style and structure of Britain's writing, the way she balances the big story with the little stories, and how she keeps Karigan G'ladheon at the forefront of it all, yet never allows her to dominate the book. There are a number of interwoven stories and relationships here. 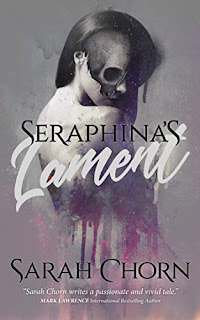 The book opens with Karigan trying to pry answers out of her father, learning secrets about her mother, and discovering their shared connection with the Eletians. There is an amusing subplot involving Lord Amberhill, the should-be-dead pirates from the last book, and the saga's first journey out to sea. The continued struggle to understand, protect, and repair the wall goes in a few interesting directions, and the arrival of Karigan best friend introduces some relationship tension. There is an assassination attempt on the King that has some interesting consequences, and which further exposes the triangle between King, Lady, and Rider. Finally, there is the expedition into the Blackveil forest itself, where Britain's talent for both grandeur and decay shines brightest . . . with the darkest shadows. I keep seeing critics complain about the pacing of these stories, accusing Britain of padding the book with unnecessary scenes, but I feel like they're missing the point. When you've got a solid storyteller, with well-rounded characters, a building mythology, layers of intrigue, and as much entertainment as conflict, you want to spend time with them, and you want to extend your stay in the world. Besides, everything that happens either serves to set up a conflict later in the book, expose new facets of a character, or deepen the overall story. Having finished the book last night, and having thought about it all day today, I can honestly say there's nothing I would cut. Is the ending problematic? Sure, but at this point there's a pattern to things, a history that defines Karigan's struggle as much as her character. Magical weapons, immortal powers, and divine intervention are a staple of epic fantasy, and not at all out of place here. She suffers through every book, fights her way through every story, and (in my opinion) has been established as a pivotal character upon whom otherworldly forces must pivot. That's not a flaw, and it's not a cheat, it's a callback to some of our oldest mythological fantasies. When you come to the end of a book, only one question matters - how badly do you need to read the next book? The answer here, of course, is GIVE IT TO ME NOW, which brings me back to the joy of binge reading. 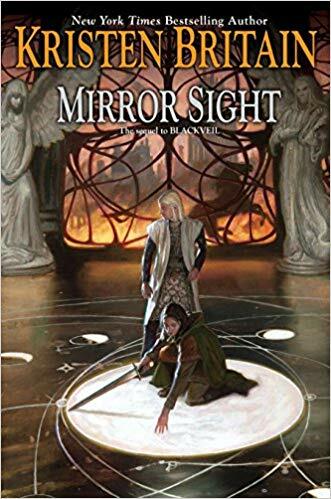 Whereas many readers had an agonizing 3-year wait for Mirror Sight to be published, it's sitting right beside me, and the longest wait I'll have to endure is another month before Firebrand hits mass market paperback as well.